Not wanting to kick owners whilst they are down but we feel there’s a question which needs to be raised: Who in their right mind would buy an emissions fixed VAG VW / Audi / Skoda / Seat? We already know that the fix is breaking cars left, right and centre, we know that EGR valves are on back order and we know that diesel particulate levels are through the roof and you’re sitting on a £1000 DPF ticking time bomb. More on how the fix affects DPFs here. We’d rather not raise this kind of question but these are the facts. 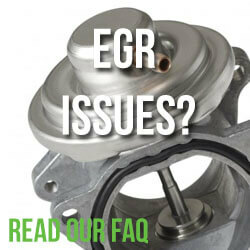 We’re now seeing EGR valves fail for the second time and DPF / injector issues are on the increase. These issues aren’t being swept under the carpet either, media outlets are finally realising the scale and severity of the emissions fix and reporting on these issues is becoming more regular. It really won’t be long until EURO 5 VAG VW cars become synonymous with these issues, so who the #?$! is going to buy yours? 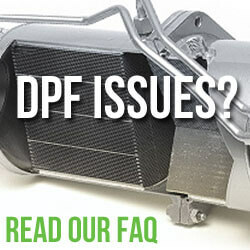 Dealers won’t want to touch them fearing the repercussions of EGR and DPF failures, private buyers will have seen the damning facts surrounding the fix. So where will that leave you? This is a tricky one. Do you cut your losses and sell up before things heat up? Do you wait for a buy back scheme which may never happen? Do you join one of the legal cases filed against the VW group? We can’t answer that but I know what I’d do. Sell up. Any legal proceeding are likely to take years, during that time layers fees will mount, increasing their cut of your “compensation” (they already take at least 30%). The cases will again highlight the issues surrounding the fix, further compounding public opinion that “fixed” / EURO5 cars should be left well alone. Why isn’t the government doing more? At this point the government couldn’t give a sh*t hoot about the VW emissions fix. They are too busy fighting for reelection. The Transport Select Committee has been dissolved and complaints are falling on deaf ears. Apart from the few pockets of resistance you’re pretty much on your own. VW still deny that the emissions fix is the root of EGR and DPF failures. They still point blank refuse to reverse the emissions fix and the media cut cry is being ignored by the entire VW Group. It’s not all bad news, there just might be a light at the end of the tunnel. 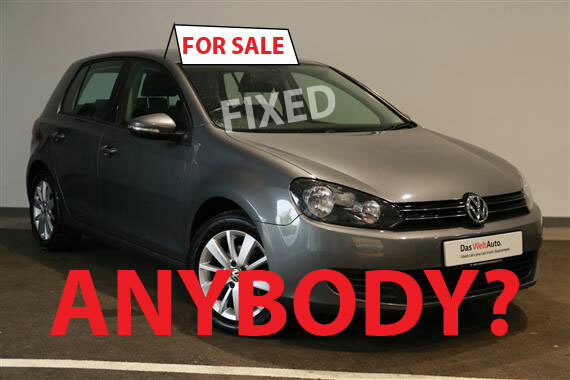 We’re doing all we can to highlight the issues facing VW owners in the hope that VW could come to the rescue. The VW Emissions Scandle Customer Forum is fighting the good fight too. They are in constant contact with authorities and regulators here and abroad to uncover the VW Group’s lies and deceit. Remember that VW did crumble in the US. It cost them billions. They don’t want the same happening here in the UK but without the backing of the government they have been given full reign to ruin your car and hand you the bill for the privilege. They have been given full reign to ruin your car and hand you the bill for the privilege. With enough pressure VW’s hand could be forced but whist they prance about on social media with their new line of dolphin saving, rain-forest planting, panda hugging electric cars they so seem to have moved on. We can’t let that happen. Join the Facebook Group – Join the resistance! If you’re one of the many owners affected by the emissions fix then please do join the The Volkswagen Diesel Customer Forum (Emissions Scandal) Facebook group. https://www.facebook.com/groups/955027937948541 – The group members and the hard working admin team work tirelessly to raise the profile of group to secure justice for those affected. There are some events coming up on the horizon so please do get involved. 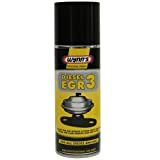 ‹ How to choose an anti-theft device for your car?